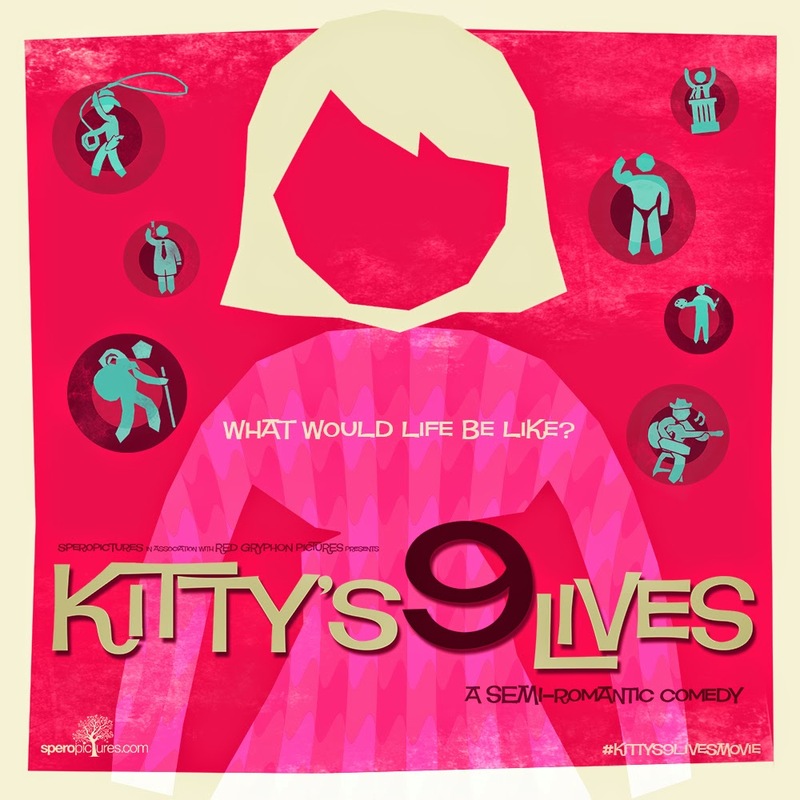 The quirky semi-romantic short comedy Kitty’s 9 Lives by Speropictures is now crowdfunding on Kickstarter. Kitty, an eccentric and single 30-something, attends the birthday BBQ of her brother-in-law and pregnant sister. During the course of the day, she meets various different men and falls into daydreams about what her life would be like with each of these eligible suitors, with hilarious results! 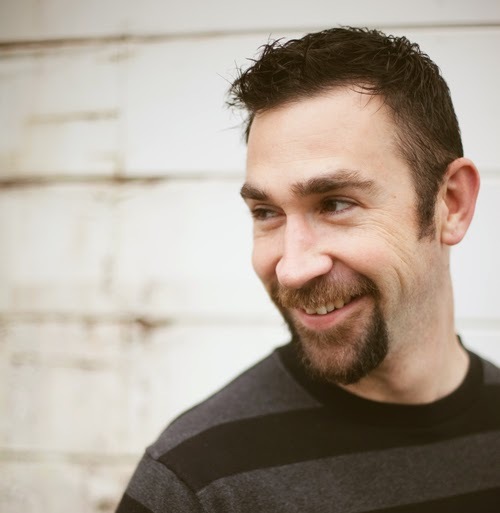 Speropictures is based out of Redding, California. Since 2010 they have been producing content that has been recognized locally and across the US. For Kitty’s 9 Lives, Speropictures is teaming up with Red Gryphon Pictures. Red Gryphon successfully crowdfunded their film Sands of Ikkera via Kickstarter earlier this year. In addition to Red Gryphon, other local film-makers have come on board to collaborate. I recently spoke with Matthew Thayer, Head Director and Executive Producer at Speropictures about Kitty’s 9 Lives, crowdfunding, and the northern Californian film community. You’re currently in crowdfunding mode on Kickstarter for Kitty’s 9 Lives. How are you feeling right now? We are very excited. We have a lot of momentum behind us going in to the middle of our campaign. We have been absolutely blown away and humbled at the amount of support Kitty’s 9 Lives has gotten from the global Independent Film community. It’s exciting to hear the enthusiasm people have for what we are creating. We have been featured on Limited Release, the From Page 2 Screen podcast with Stuart Bannerman and have been recently highlighted as Project of the Day on IndieWire.com. Not to mention, everything behind the scenes is coming together. The team is in place, the locations are being arranged, the stage is being set, so to speak. Our cast is coming togther brilliantly. We have some amazing actors signing on to this project and our casting updates have been gaining a lot of attention. This whole process has just been a lot of fun. Red Gryphon Pictures is collaborating with you on Kitty’s 9 Lives. Have they given you any advice about crowdfunding that you’ve been able to use for the Kitty’s campaign? We learned a lot. You know, RGP ran a brilliant campaign for Sands. They got a lot of local support & press. A lot of people got behind them and made it happen. We were right there with them every step of the way, encouraging them and doing whatever we could to to help. I even ran most of the Twitter side of their campaign. It was a fun process to be involved in for sure. One of the things we learned was to start building relationships with people long before you campaign by reaching out and offering to help others become successful. People are far more willing to help you succeed if you are genuinly investing in their success as well. For the most part, this is the way we live our life anyway. We teach a film class here locally and for the past several years we have poured countless hours into our students – campioning them, encouraging them, giving them someone to cry their frustrations to, helping them grind their projects out at the last minute so they can make a festival deadline, as well as in some cases standing there in the audience applauding them as they win awards. Personally, I want to bring people hope and joy. That may sound cheesy, but it’s true. People go to movies to have a good time. Sure people get deep things and different perspectives from films all the time and film is a powerful medium to evoke people to change, but for the most part they go to a movie to be entertained. They want great stories told to them by great storytellers. I hope to be one of those great storytellers. I love directors like Christopher Nolan, Francis Ford Coppola, Edgar Wright and Quentin Tarantino for that reason – they tell a hell of a good story. I want our audience to walk away from our projects with the same response – that was great story and a lot of fun. If people get to see life a little differently because they’ve had a glimpse of how I see the world in the process, then that just makes me even happier. But I am the happiest guy in the world when I hear: “your movie made me smile”. You and your wife, Joy, (Head Producer and ‘Chief Mama Bear’ at Speropictures) teach a film-making class out of your home. What prompted you to do this? We have always been passionate about filmmaking. The whole process facinates us. We also love to teach and empower other to follow their dreams. When we were asked to help head up the filmmaking class at a local school, it just felt like the right thing to do. Not to mention, you learn a lot when you teach. I don’t think I would be where I am today if we hadn’t have tought that class. If the students have learned one thing, I’ve learned at least 3. Not to mention, much of the team we are working with now has come out of our “student body”, so to speak. We have made relationships that will last a lifetime. I can see us working with these people for many, many years to come. What’s the best thing anyone could say to you after seeing Kitty’s 9 Lives once it’s been completed? That they had fun watching it. It’s a great little story and very, very funny. Our screenwriters Denise Churchill and Karen Alderidge are undiscovered gems. They truly are stunning at their craft. It’s wonderful to have them on our side. If screenwriters are arcitects in the movie world, they have given us a small skyscraper. This movie is a mile a minute hilarious and so easy for me to visualize. Audiences everywhere are going to love it. Why should people back Kitty’s 9 Lives? Honestly, people should back Kitty’s 9 Lives because this is just one of the projects we have in the works. We are approaching Kitty’s as it’s own project and we are putting our full creative weight behind it, but we are also using this fundraising campagn as a way to build awarness of our filmmaking community as well. We have a five to ten year plan as a group to bring many, many more projects to the screen, all from different directors. All of them are equally if not more fun and more amazing as Kitty’s. By supporting Kitty’s people will be helping us reach those goals as well. By supporting Kitty’s people are getting a lot of bang for their buck. By supporting this project we will be positioned with the equipment we need to continue teaching our classes as well as a great starting point for the other future projects we have in mind. We plan on entertaining people for many, many years to come.